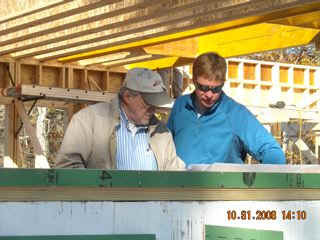 James Schildroth, Architect and Brian Huey, Merrymeeting Builders Inc. at the job site. Brian Huey, Bill Cochran, Peter Larsen, Bob Plewinski, Kieth Wehmeyer. 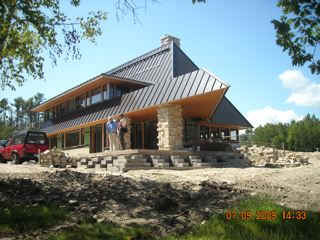 Jeff K. C. Hamilton & Sons Inc. 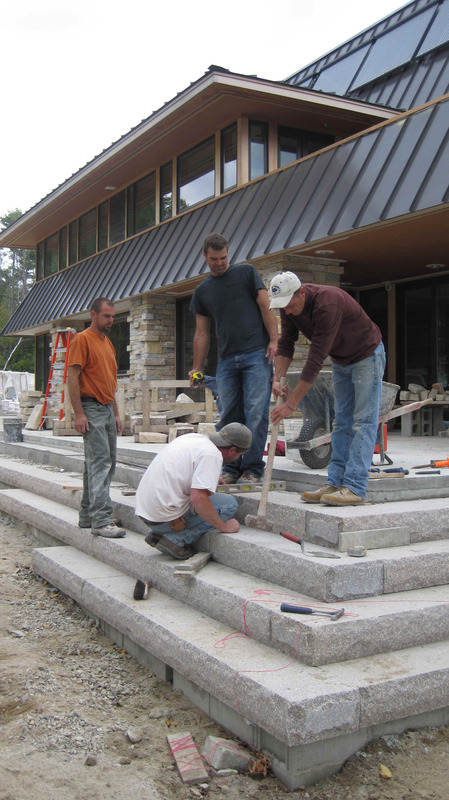 OWNER: JEFFREY HAMILTON SR.
Masons on this job: Right to Left, Rick Leech, Benjamin Fournier, Adam Temple on the level, and Wayne Fournier Jr., mason tender. 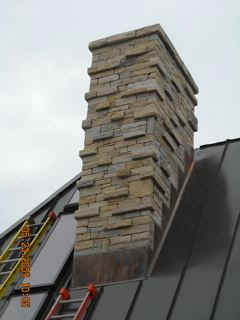 South Bay quartzite used on this house.